When it comes to acquiring new patients for your dental practice, are you still relying on snail-mail ads, or are you embracing modern advertising techniques like dental SEO? Your answer to this question could very well determine whether or not you’ll be able to find new patients who will spur growth for your practice. Of course, mastering SEO isn’t an easy process, especially when you already have to balance the many other responsibilities that come with running a dental practice. This doesn’t minimize its importance. Why Is Dental SEO So Important? SEO, or search engine optimization, is the foundation of a successful web presence. It doesn’t matter whether you’re trying to get new patients to come in for a cleaning or increase awareness for root canal procedures, SEO is vital for spreading your marketing message. The better your dental SEO, the higher your website will appear in Google search rankings. Studies have found that nearly 95 percent of web traffic goes to sites that appear on the first page of Google search results, with the number one listing receiving an incredible 33 percent of all traffic. In a day and age when most people start their search for a dentist by going to Google, these results can have a huge impact on your ability to acquire new patients. If your practice is buried on page three of most Google search results in your area, you’ll have a hard time keeping up with the competition. Dental SEO success doesn’t happen on its own. You need a clear, well-developed strategy to become competitive in your market. Sound SEO will lead to more clickthroughs for your website, more appointments and new patients and even improved perception of your abilities as a dentist. Which SEO Strategies Work Best For Your Business? 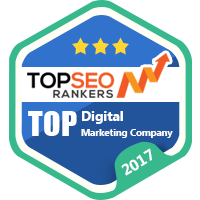 There are several ways we can help you improve your SEO ranking, some of which are equally applicable to a wide range of industries and others which are more specific to dentistry. Optimizing your website is an essential first step in dental SEO. This starts by analyzing Google search trends in your local market to identify which keywords should be a point of emphasis for your site. These keywords will then be implemented throughout your site’s content, including headlines and meta descriptions. Ensuring that the keywords blend naturally with the rest of your text is key to crafting user-friendly results. Improving the overall user experience will also make a big difference. Making sure your website loads quickly and is easy to navigate will improve the experience of site visitors, a major factor in Google rankings. For dental SEO, a focus on local search traffic is a must. Your strategy needs to be optimized for your geographic area so that your efforts target patients who actually live relatively close to your office. Getting your practice placed in local online listings, maintaining an accurate Google My Business account and getting reviews on websites like Yelp and Google will help increase your practice’s local visibility. Content Matters For Dental Offices, Too! “Content marketing” is a popular buzzword in the advertising world these days, in large part because of how much it can strengthen your SEO campaign. When you consistently produce quality content, you can generate backlinks and build your image as a dental authority as other websites cite your work. For a dental practice, you don’t necessarily need to be churning out infographics on a daily basis. Instead, focus on producing helpful blogs that demonstrate your expertise and provide helpful information to patients. Even something as simple as tips for getting kids excited about brushing their teeth could prove to be a big hit! By providing helpful content at least once a week, you will gradually work your way up the Google rankings. A well-written blog isn’t the only type of content you should create. Reviews and testimonials are of extreme importance to prospective dental patients. Though featuring text highlights from reviews left on other websites can be helpful, video testimonials have been found to be especially helpful for dentists. These short videos (typically less than a minute long) feature actual patients explaining how you solved their dental problems and how they feel. You could also create video overviews explaining how you perform certain procedures. Testimonials that highlight how you provide a quality experience will prove far more persuasive than your own writing, while also boosting your SEO rankings by providing engaging content. At Webmetrix Group, we’re dedicated to providing specialized support to help you stand out in your local market. By understanding the unique elements facing your niche, we will help you devise strategies that improve your website and Google ranking so more customers can find you than ever before. SEO results typically don’t appear overnight — but as you climb the search rankings, you will eventually see an increasing number of patients reaching out to your practice each week, helping you achieve the growth you need. Start today, and you’ll be amazed at how a few adjustments can make a big difference.